On previous form, P4 on the grid for tomorrow’s Spanish Grand Prix should bode well for our Finnish maestro; but what does the man himself think? Q: Did qualifying live up to your expectations? KR: It was not too bad; better than last race for sure. It’s very close here and we could have been P1 or P10 in that final session, so P4 is not too bad. Of course, unless you’re on pole you want to be further up the order, but tomorrow’s when really matters. Q: How’s the car feeling? KR: It’s been pretty okay over the weekend. Today in qualifying was a bit more windy than we saw this morning, which made the final sector a little more tricky. We didn’t have the pace get on the front row, but we should have a pretty good car in the race. Q: What do you expect from tyre strategy? Q: What are your chances in the race starting from P4? KR: You can’t really say on Saturday what will happen; you just have to make a good start and then see what you can do. We’ve got two fast Mercedes ahead of us and we’ll have to see how strong they are over a full distance. I’m sure the Ferrari and Red Bull will be competitive, so like any race we’ll just do our best and see where we end up. I’ve got a good feeling about tomorrovs race. And so does Kimi, at least that is what I read into his comment “It was not too bad”. And dont worry about the start, he did plenty of practice starts so that the settings will be right this time. The cap marked 1 is waiting. The start will be tricky – on dirty side and s.o. Let´s hope everything´s going just as good as Kimi has planned to go – the very best way! It will be an exciting & distressing race for a fans! Our positive-thoughts with Kimi. 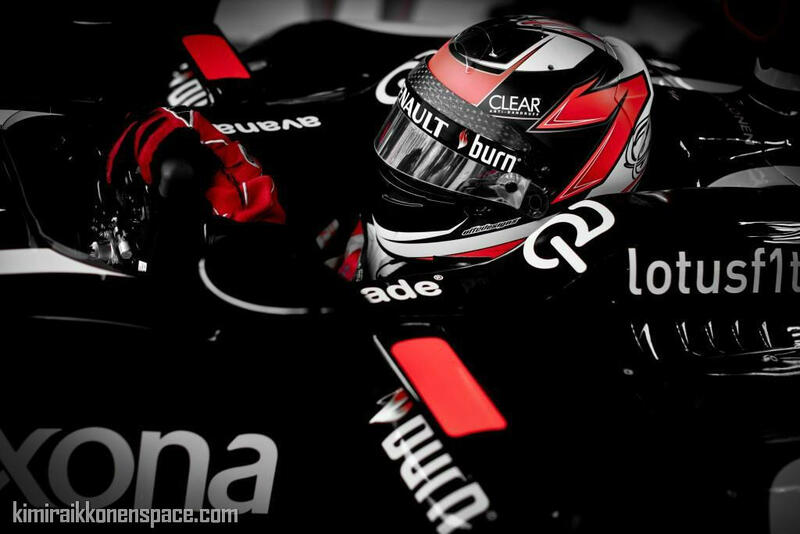 Good luck, go Kimi!